Twitter is one of the most talked about and popular social media platforms there is. Ideal for reaching thousands of people with nuggets of information, it has become a vital media resource for breaking news and a powerful way for organisations to communicate with stakeholders. Creating conversation with stakeholders and customers. 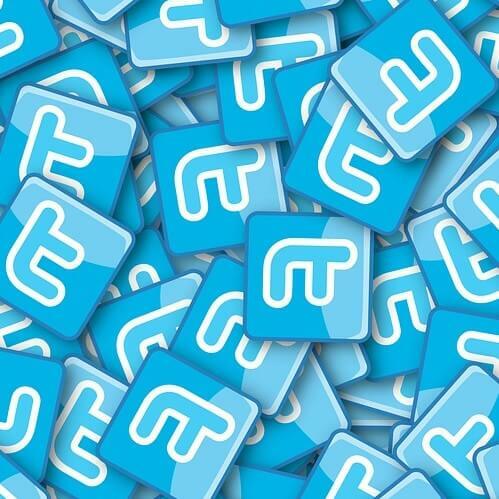 Many organisations have jumped onto the Twitter bandwagon keen to make the most of the communications opportunities. However, after the initial period of enthusiasm has subsided, many organizations are left asking themselves: “How can we maximize the impact of Twitter?” So here’s a list of 10 top tips from Pelican’s digital PR experts to help you integrate Twitter into your marketing and help you grow your online community. What’s your name? If people can’t find you easily on Twitter they won’t be able to follow you, so register your organisation’s name before somebody else does and takes your Twitter name. You may not want to start tweeting straight away but you’ll be prepared with the right Twitter handle when you want to start. Build links: integrate your Twitter profile with other sites and platforms where you have a presence. Add a widgetof your Twitter page onto your website or blog’s landing page, as well as your Facebook profile. Your tweets will then be displayed on your site. Add a button to your site that directs people to your Twitter page. Start tweeting: an important part of gaining a following on Twitter is authenticity. Your followers need to believe that there are real human beings behind your Twitter handle and to trust that you will only tweet worthwhile information on a regular basis. Not many people will be interested in what you had for breakfast. Start following: Once you get used to tweeting, it’s time to start following other Twitter users and gain a following for your own account. Identify the people and organisations you want to connect with and influence. It’s also a good idea to follow influential people such as media figures and politicians so that you can respond to their tweets. Start with a basic Twitter Search. Use keywords to find tweets about your issues or industry. Retweet: try to retweet your followers occasionally to show that you are paying attention to them (which you should be doing!). Retweeting means you are reposting another user’s message on Twitter. This is done by clicking the retweet button under the tweet. You can automatically retweet, or quote the tweet to add your own comments. Networking: another way to attract followers is to give your @address out at networking events so people can follow you quickly and easily there and then, rather than having to Link-in after the event or add you to their Outlook contacts. You can also add it to your business cards. Blog comments: amplify your blog posts with a link from your Twitter profile. It can give you access to a whole new audience. Tweeting press releases is another great way of creating content, and don’t forget emails and newsletters – use your contact or footer to include a follow us on Twitter link. Listen and monitor: Twitter is a great way of finding out what people think about your organisation. You can use an external application or Twitter’s web interface, to monitor what your online community is saying about you and you can use Twitter to respond and engage with these comments. First search for your organisation’s name then choose a few words that are related to you. Get creative: there are many ways you can engage your followers besides writing information-packed, helpful tweets. You can cover events, conferences and seminars by posting the #tag for that event. You can hold a chat with followers, the media, or industry commentators or you can post short video clips using the new six second video service Vine. Track your progress: Websites like Twittercounter, Backtweets, Tweetmetrics, and Klout can be used to help track how much your following has grown and how influential you are. Also, look at how many times you are getting retweeted and mentioned. How effectively are you using Twitter? So there are numerous ways for your organisation to use Twitter to maximise its online profile. If you’d like more help managing your online community the digital and social media experts at Pelican PR will be happy to offer some advice. Contact us on 01457 820807 or visit our website.